Just a lovely heart pajama for my little girl. I made probably a dozen pajamas for her this season. I shared the free pattern in size 9, 10, 11 and 12 (link below). Today I have a free heart applique’ pattern for you. Actually it’s in three sizes. Hearts are not only for Valentine’s Day. They looks adorable on anything really. The colors of knit fabric I chose are not too typically girly but I think hearts look cute in any color. That way this pajama remains to be a more every day type pajama than only one for Valentine’s Day. 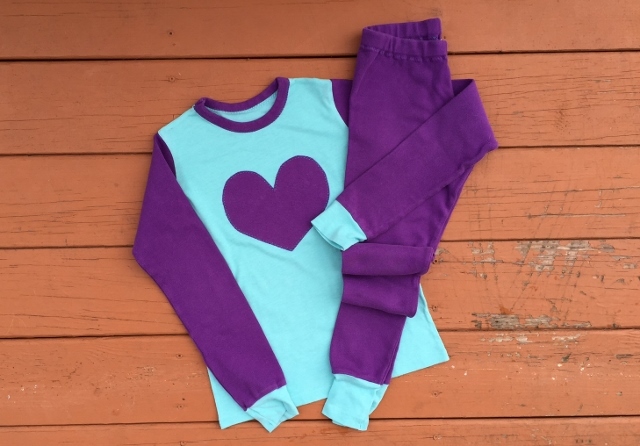 I used interlock knit fabric for this pajama and pretty much for any of my kids pajamas because it’s 100% cotton and has a nice feel to it, thicker so it keeps them warm and I love to work with it because it won’t curl up at all on the cut edges. This particular fabric I purchased from my local Hancock Fabrics. They have a nice selection of solids and when they are on sale it’s really a great value. Want to make a heart knit pajama yourself? You can get the free knit pajama sewing pattern and the 3 hearts appliques for free. Download the 3 hearts templates here! Go to the free knit pajama pattern post to get details for sizes 9, 10, 11 and 12! 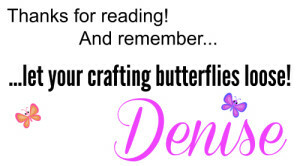 To see how to sew on an applique’ please see this post. If you liked this pattern, would you like us to email you when we have a new post up? 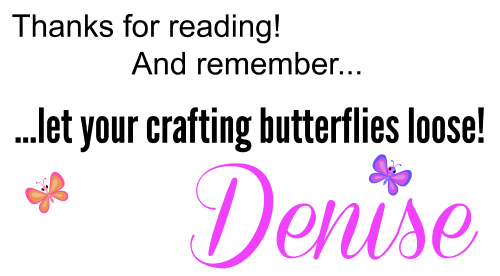 Then hop on the list by entering your email on the sidebar! Want more free pajama patterns? <<<===== click this link!! I appreciate your lovely comment and your visit!